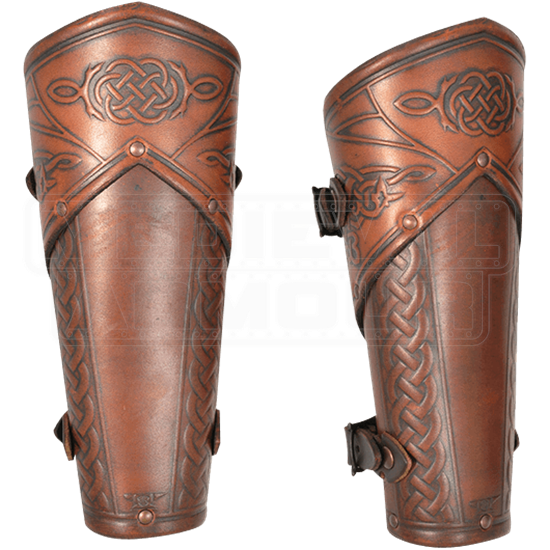 Reclaim the lands of your clan as a warrior from centuries past or become the hero of a fantasy realm with the Celtic Mantikor Leather Bracers. 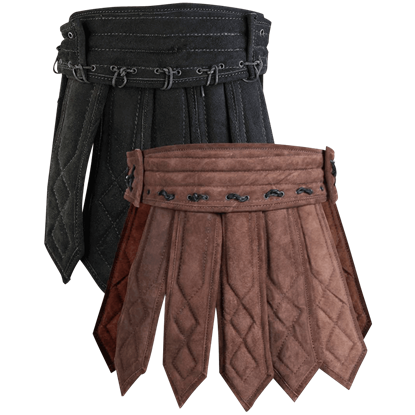 Prepare for the impending LARP battle by entrusting your forearms to this fine pair. 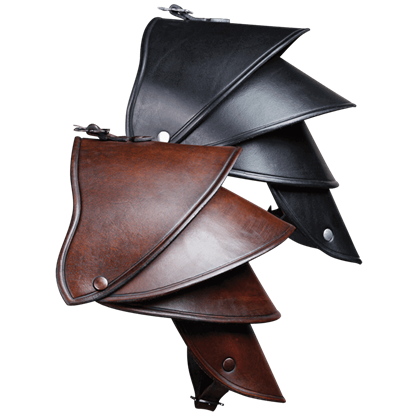 Crafted from high-quality leather, the bracers are composed of two riveted segments. Rounded edges provide improved comfort, while the segmented design enhances the deflection power. Richly detailed Celtic knots decorate the upper cuff and run along the sides. 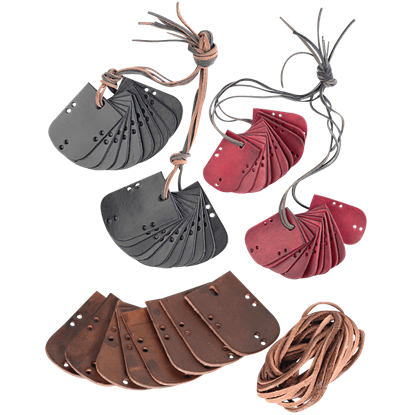 An antique patina finish contributes to the eye-catching style of the bracers. Two adjustable buckle straps customize the fit to each arm. 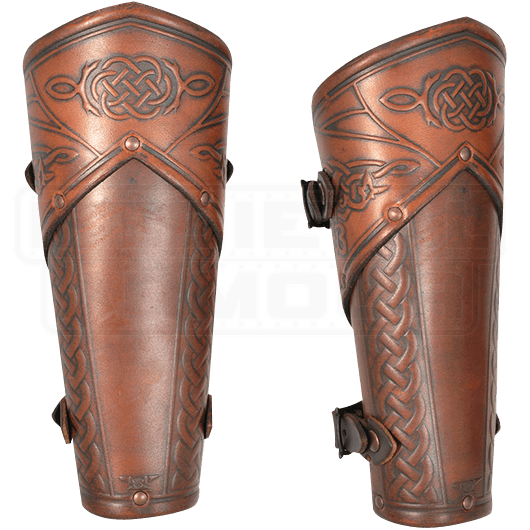 Reinforce both the style and defense of your roleplay character with the Celtic Mantikor Leather Bracers. The Greeks, and later the Romans, often idealized physical perfection, and nothing shows this as clearly as the Leather Royal Muscle Armour. 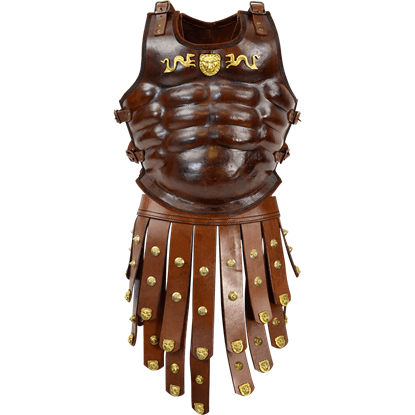 This cuirass depicts a sculpted male torso in black leather, while featuring steel ornamentation.